Ben Woolman is an accomplished guitarist, composer, instructor, performer, and has established a place for himself on the long historical line of fine Minnesota-bred guitarists. He has been a guest columnist for Fingerstyle Guitar Magazine and Guitar Teacher Magazine and a featured artist in Akustik Gitarre Magazine - the premier European acoustic music magazine. His compositions have been included in various film soundtracks and he has 10 recordings - solo and compilations - credited to date which have received numerous accolades, including favorable reviews from the leading acoustic music publications: Acoustic Guitar Magazine and Vintage Guitar Magazine. Woolman is an active member of the Minnesota Guitar Society and holds a BFA in Guitar Performance, with honors, from the University of Wisconsin/Wisconsin Conservatory of Music Cooperative Guitar Program, Milwaukee, WI. In addition to his solo work, he performs with the instrumental duo, New Roots Duo, whose debut CD, Roots Run Deep, was voted best local folk/roots album of the year by Mpls St Paul Magazine. 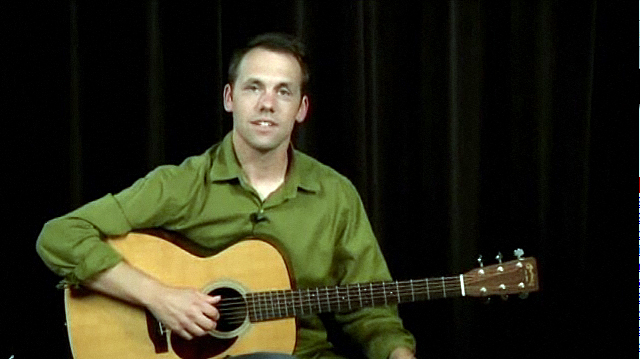 Woolman is currently the lead fingerstyle guitar instructor at St. Paul Guitar Studio in St. Paul, MN. To learn more about Ben, please visit BenWoolman.net.